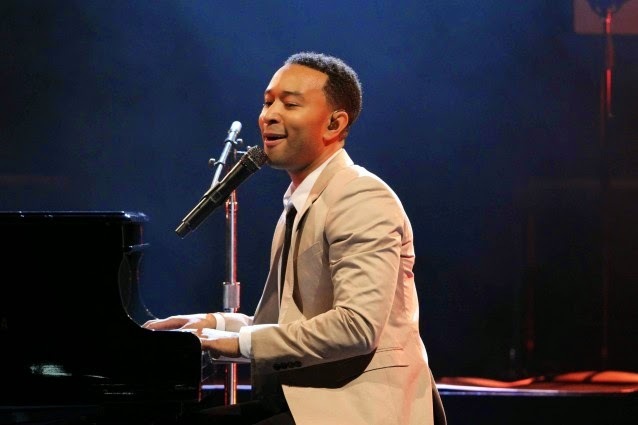 John Podhoretz, a former speechwriter for Ronald Reagan with a regular column in the New York Post, told musician John Legend to “shut up and play the piano” in a tweet sent on Wednesday afternoon. Podhoretz was prompted by a tweet that Legend sent criticizing Israel’s treatment of Secretary of State John Kerry. 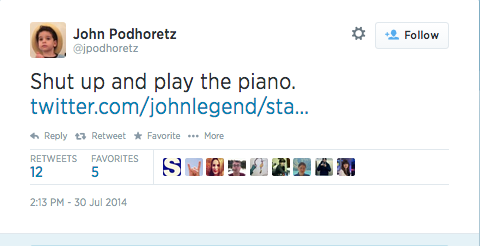 Podhoretz’s tweet was widely criticized for playing into racist stereotypes of African American entertainers. Rather than apologize or address the controversy, Podhoretz apparently deleted his Twitter account. He was an extremely active user of the Twitter, sending almost 70,000 tweets and attracting over 34,000 followers. Podhoretz is also the editor of Commentary, a conservative magazine, and a contributing editor to the Weekly Standard.